TOOTHFAIRY*S BABY TOOTH BANK | The Perfect Present Co. 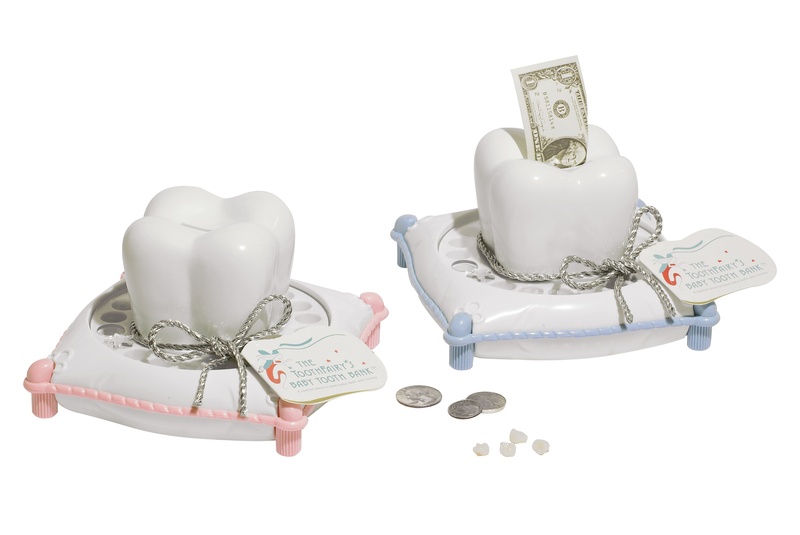 THE TOOTHFAIRY*S BABY TOOTH BANK represents a unique gift idea that encourages family fun and creates a lifetime of 'toothless moment' memories. This sentimental keepsake is a thoughtful and lasting gift for many occasions. Each TOOTHFAIRY BANK provides an organized place to save a fallen baby tooth, tooth fairy money and memorable dates each tooth fell out, and can be personalized with that special 'little someone's' name. ToothFairy Banks come in trim colors of blue, pink, mint, yellow, and there is a bank made of primary colors for older children.